Dwight Chapin was born in Wichita, Kansas, on 2nd December, 1940. While studying at the University of Southern California he became an active member of the Republican Party. 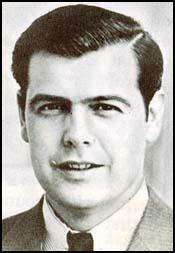 In 1962 Chapin helped Richard Nixon in his campaign to become Governor of California. Chapin worked for the J. Water Thompson Company in Los Angeles. 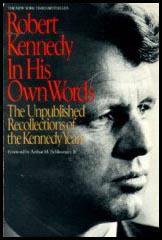 He remained active in politics and took part in the campaign to get Nixon elected as president in 1968. A senior figure at the agency was was H. R. Haldeman who was employed as the president's chief of staff. Haldeman arranged for Chapin to obtain the post of Special Assistant to the President. Chapin had special responsibility for scheduling presidential activities and appointments. He also hired and supervised the Presidential advance men. In 1972 some of these people were responsible for acts of political sabotage and espionage against the Democratic Party. For example, in September, 1971, Chapin recruited Donald Segretti as part of this "dirty tricks" campaign. Chapin was one of Nixon's White House staff investigated as a result of the Watergate Scandal. When he appeared before the Grand Jury he denied any knowledge of Segretti's activities against the Democrats. In 1974 Chapin was found guilty of lying to the grand jury and was sentenced to 10 to 30 months in prison. In fact, he only served eight months before being released. After leaving prison in April, 1976, Chapin worked for W. Clement Stone Enterprises in Chicago. He also published a magazine called Success Unlimited (1977-79).